The BBC has announce BBC Playlister, a new music service which it says will "transform people's relationship with music". The service will work with partners including Spotify, YouTube and Deezer. Playlister will let you add and save your top tracks heard on the BBC and add them to a personal playlist, which can then be exported to your digital music service of choice. You'll also be able to seek out recommended tracks from BBC DJs and presenters. The BBC says the service will be rolling out across the BBC's websites in the UK and throughout the rest of the world. The BBC says the first stage of Playlister will launch "in the coming days" for PC and mobile browser, which will offer the features for exporting music. 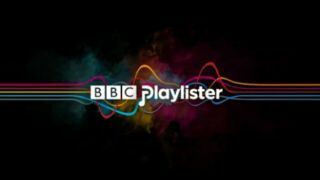 DJ and presenter recommendations will come in the coming months, as will the ability to integrate Playlister with your mobile BBC iPlayer Radio app. The announcement was made at an event today where TechRadar was in attendance. The BBC also said that over time it will be looking to add a number of other services to the product.